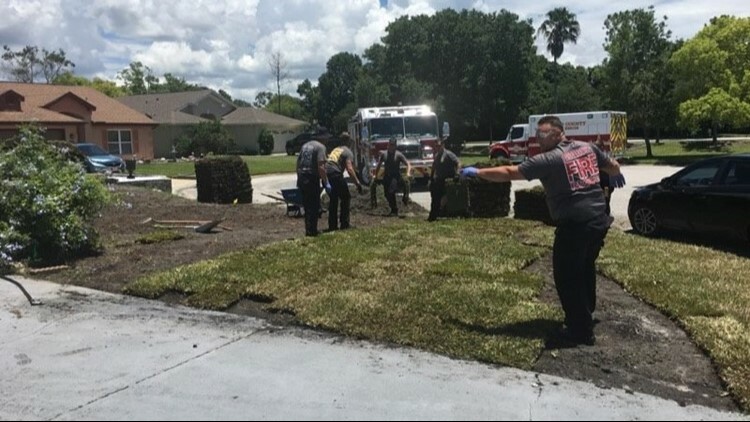 PASCO COUNTY, Fla.— Pasco County Fire and Rescue crews touched a family’s hearts by going above and beyond the call of duty. Gene Work and his brother were laying sod over the weekend when Gene suffered a heart attack. The sod was heavy on Gene’s mind. As he faded in and out of consciousness, he was begging to have it put down because he didn’t want it “to go to waste and die,” his wife Melissa wrote in a Facebook post. Melissa told Gene Jesus would help them figure it out. She said her brother-in-law stayed back with her niece while the family went to the hospital. 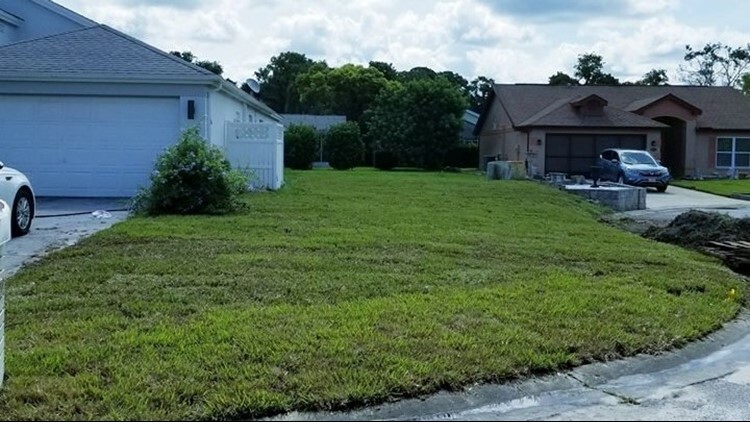 The brother-in-law planned to stay all night and finish the sod by himself—but that wasn't necessary. As he got back to work, he heard trucks rumbling back down the road. He saw a fire truck and an ambulance return to the house. And, before he knew it, seven firefighters and EMTs jumped out, Melissa wrote. The emergency workers put on gloves and said they came back because they knew Gene was in serious trouble, and they wanted to lay the sod so it didn’t die, Melissa said. According to Melissa, the crews didn’t know she was also about to fight for her life during a bone marrow transplant next month. The emergency crews finished laying the sod out of the goodness of their hearts. These first responders are ones the Work family will never forget.